Still upset over the SimCity debacle? EA hopes to soothe your rage by offering a free copy of one of its recent hits. At this point, I probably don't need to remind you all of the controversy that sprung up immediately following the release of SimCity, suffice to say that the game did not work as advertised on launch and many prospective fans were quite miffed, not only by their inability to play a title they'd shelled out their hard-earned cash for, but also by EA's response to the outrage. It was only a few days ago that the company officially acknowledged that it had made a grievous error in its handling of the situation, but now that everyone is on the same page the mega-publisher hopes to win back a bit of the fan affection it lost by handing out free copies of a number of its most popular, recent games. That's a solid list of undeniably good games, but you'll notice that many of them feature qualifiers reading "Standard Edition." 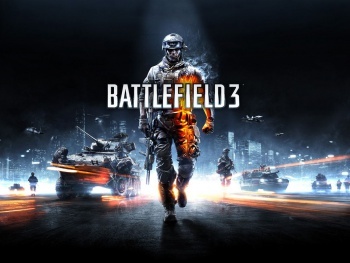 This means that if you were to select, say, Battlefield 3, the version of the game you would receive for free would be the initial, launch version of the game. This includes none of the downloadable additions released following the game's launch. This is especially crucial to note in the case of games like Battlefield 3 and Mass Effect 3 whose current incarnations consist largely of post-release DLC. Using Battlefield 3 as an ongoing example, if you were to walk into a GameStop right this minute you'd find two very different versions of the game sitting on store shelves, the Standard Edition and the Premium Edition. The latter includes all of the game's DLC content and is priced at $60, while the former does not and will only set you back $40 (or $20 if you opt for the pre-owned version). The iteration of Mass Effect 3 on offer features a similar scheme, only GameStop lists the Standard Edition of the game at a mere $20 brand new. The key point here is that instead of offering its latest, greatest games which could only otherwise be had by shelling out full retail prices, EA is instead hoping to make up for its mishandling of SimCity by granting players free access to the least expensive versions of what are otherwise quality games. It's just a nice bonus for the company's bottom line if suddenly owning these free titles pushes players to purchase downloadable additions for the titles (of which there are many). As a further caveat, players are only able to select the PC versions of the above-listed games, and will need to have a functional Origin account to download the free titles. Yes, before you ask, this makes the total cost of distribution shouldered by EA for this scheme effectively $0. That said, these are still free games, and I'm not about to gaze into the abyssal maw of a gift horse. If you're still interested in picking up a free title, full instructions on how to redeem your gift are available on EA's support site. Assuming you've authenticated your copy of SimCity within Origin, once the promotion begins -- EA claims that "everyone worldwide will have access no later than 5:00PM PST on March 22 and will have until March 30 at 11:59PM PST to redeem" -- you need simply fire up the client to find a pop-up window with a link allowing you to select and download whichever one of those games you prefer. Say what you will of EA, but the company has made it exceedingly simple to take advantage of this free game offer.